A remarkable and highly original tile-based puzzler. If there's one thing you can expect from an Adult Swim game it's the unexpected, and the publisher has carved out quite a niche for itself in providing highly original, fiendishly addictive games that would leave even the most ardent mobile gaming naysayer scratching their heads for a scathing response. 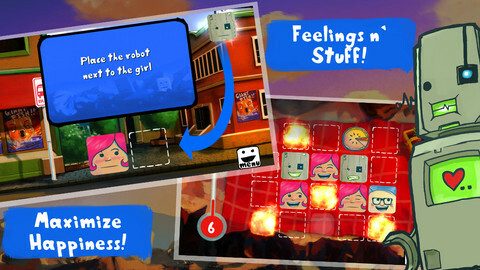 Girls Like Robots is no exception and represents a radical departure even by the publisher's standards. This is an incredibly challenging tile-based game where the likes and dislikes of various character tiles have to be taken into account as you place them all onto a board. As the title suggests, girls like robots so you should place these two tile types adjacent to one another other to increase your happiness bar. Nerds on the other hand aren't quite so popular with the ladies and will bring the overall happiness level down if placed together. Fortunately, diagonal placements have no effect, so there's always an optimal solution to each puzzle. It all starts off easily enough, but before long you'll be tasked with placing the different tile types in a specific order, removing the option for trial-and-error. Fortunately you can undo errant moves, particularly useful when the board itself begins to grow and evolve over time. Rather than simply repeating this core gameplay again and again, every Act within Girls Like Robots introduces a new and surprising element. As well as taking care of basic likes and dislikes, you might need to push ladybirds towards a bug-fancier in one collection of levels. Later you'll need to complete the grid while leaving one particular space clear. Eventually you'll have to contend with character tiles that move around the grid as you work. Depending on how high you fill each level's happiness bar, you'll be rewarded at the end with some tokens that go into a happiness bag. 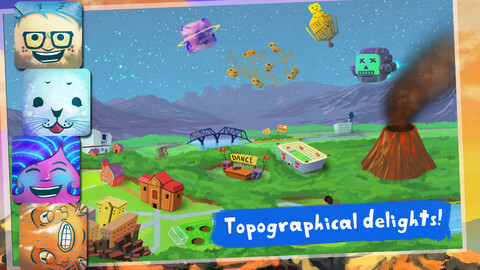 Fill it up completely and you'll unlock some new fiendish challenges on the map. Perfecting every grid is going to take you some time, so there's plenty of replay value to be had as you work towards unlocking all of the content. All of this is delivered with Adult Swim's trademark wit and style, and the characters are crafted beautifully as they grin and grimace their way through your successes and failures. Every other level seems to introduce yet another tangled web of conflicts, and you'll rarely get the chance to catch a mental breath. 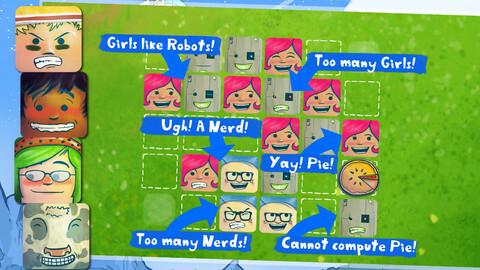 Humorous, original and challenging (perhaps a little too challenging at times), Girls Like Robots should go to the top of the download list for any puzzle gamer who thinks they've seen everything the genre has to offer. 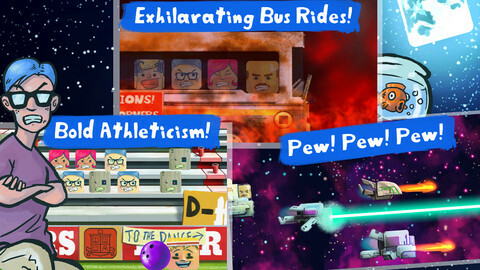 What's Hot: Constantly evolving, challenging gameplay that entertains as much as it intimidates. What's Not: The game throws new elements at you a little too briskly.